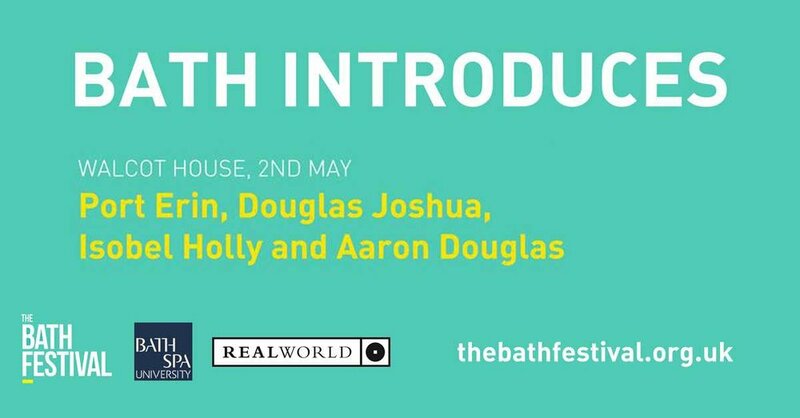 After a tough first round, Bath Festivals and Bath Spa University present the semi finalists of Bath Introduces. Two of the four acts have a chance of making their way to the Finale Weekend Bath Festival to win a day at Real World Studios! FREE ENTRY • Donations for the World Wildlife Fund will be kindly received. "Garnering near-cult status as purveyors of original genre-bending music, Port Erin are a band of three. Two brothers- Reuben Myles Tyghe, vocals and guitar, flanked by Jacob Myles Tyghe on bass and Cerys Brocklehurst on drums. They hail from Broughton Gifford (a very small village tucked away in South West England) and formed in January 2007. Port Erin draw inspiration from the likes of XTC, David Bowie, Miles Davis, Syd Arthur, Talking Heads, Morphine and Tortoise." Spun on the silk of emotive strings and whispering vocals, there is a wistful passion at every twist and turn of these ambient folk spirits. Inspired by the likes of Damien Rice and Glen Hansard singer/songwriter, Douglas Joshua, shares his thoughts and feelings on the intricacies of everyday relationships through the delicate art of performance. Isobel Holly is a rare find; a young talent with capabilities beyond her years. Despite her tender age, Isobel has an enviable songwriting prowess that bonds engaging prose to memorable melody, all delivered with the pop sensibilities of a seasoned campaigner.